Our Delica conquering the Christmas Valley Dunes in Oregon, well, at least not sinking in it! The most recent ARB purchase we’ve made was their newly designed 2500MM Aluminum Awning. Since we’ve run an ARB 1250 on The Teal Terror, have an ARB 2000 on The PDXJ, and recently acquired another new off-road runabout, The Space Tractor, one of the first purchases for it was, of course, going to be a new awning. A big new awning! Rolling up to a sweet primitive camp spot off of Hole in the Wall Road, Death Valley, CA. 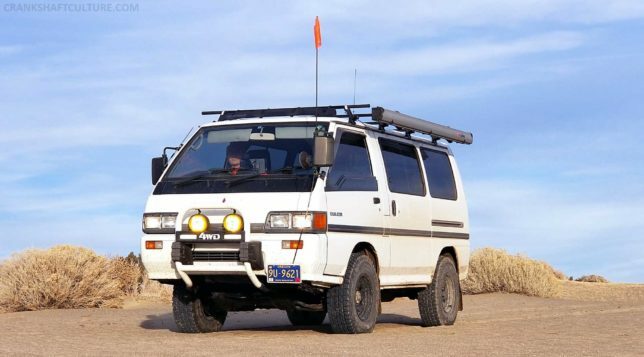 Since our Mitsubishi Delica van would be turned into our campervan, we wanted a large awning that could span the 110”+ mountable gutter allowance we have, provide ample water and UV resistance, be durable in the wind, rain, and other harsh conditions, and be compatible with awning accessories should we ever want to add on a deluxe awning “room”, etc. 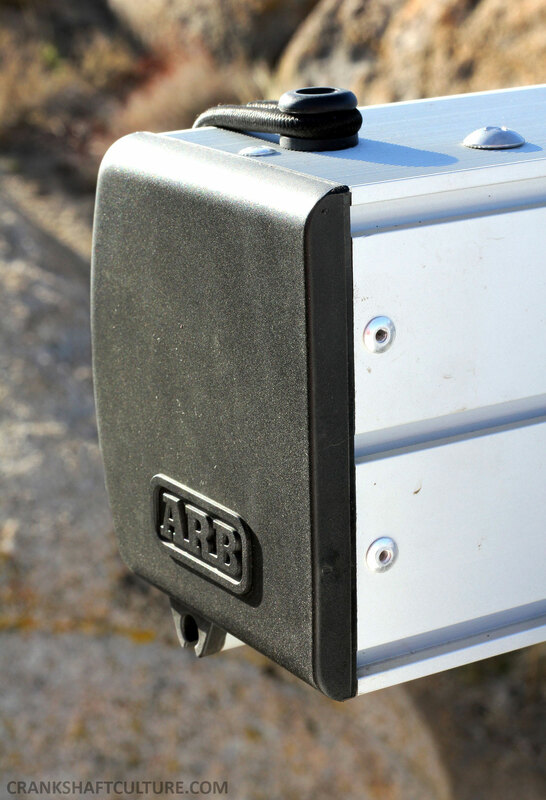 The ARB 2500MM model fits the bill and is the equivalent to just over 98” or 8’-2”. We decided to try out their aluminum hard-case model to see if it’s more durable than their standard dark gray soft shelled awning models. Our ARB 2500MM awning is mounted via Bomber Product’s Awn-Lock mounts and Yakima round bar rack system. It’s proven to be a solid set-up, even after miles of washboarded roads! Weighing in at 35 lbs., this ARB awning (p/n 814102A ) has a hefty aluminum clam-shell style case held together by sturdy UV-protected marine-grade shock cord loops (bungees) and a flip-up lid. Detail shot of the bungee loops. This system is very simple—no worrying about zippers getting stuck or breaking. The awning fabric is made of 300GSM PU coated poly/cotton rip-stop canvas, is waterproof, flame retardant, UV-protected, and has anti-wear points to further protect it during travel. 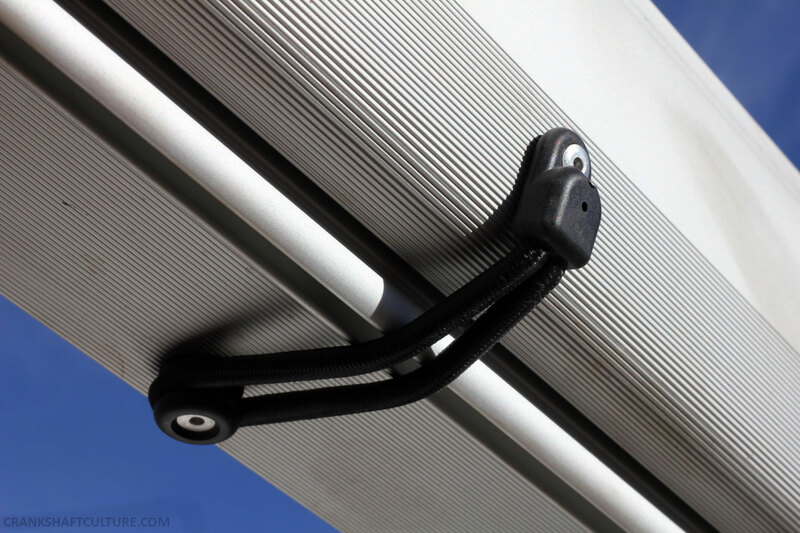 This awning system boasts anodized 1.2mm gauge x 25mm diameter poles with nylon cuff joints, has metal cam locks, and comes with a pouch for pegs and reflective guy ropes. Strong side arms have 20% overlap for superior arm strength, too. All of this combined provides added improved functionality while providing a contemporary and sleek look. 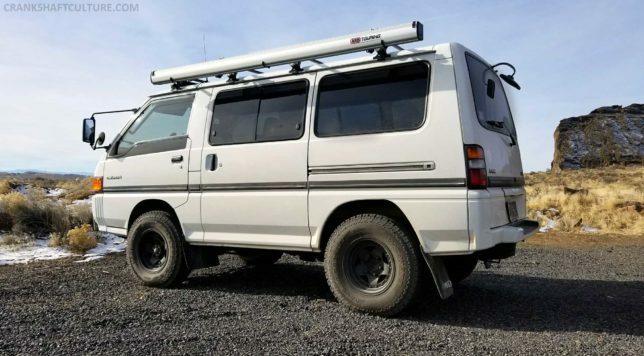 Everything a “growing” Delica needs, no? Detail shot of one of two top bungee loops to keep clamshell lid opened. Of the three ARB awnings we have owned to date, this one by far is the easiest to use (even though it’s the largest). Pop off the three cord loops, tilt the hard cover up, undo the two Velcro straps that hold the awning fabric in place and roll back. The rest of the set-up is the same as ARB’s traditional awnings: pull out both end poles and set their height, one person holds the end bar and poles in position while the other grabs side poles out from the case. Extend both poles horizontally to connect up to end bar. Once end nubs are positioned through end bar “hole receivers”, tighten by twisting bars. Secure Velcro straps over said poles. Stake with guy ropes and pegs if needed. Less than five minutes and you have insane shade or shelter from inclement weather! Oversized ARB Touring jellybean sticker on side of awning shell. Although this product is fairly new on the market and information/reviews are scarce, we wanted to give it a try. We know one other couple that ran one on their van and were pretty happy with it. I’d have to say the same. It’s advantageous to have a hard case when traversing tight trails: you don’t have to worry about scraping/snagging your soft cover. 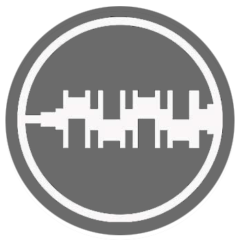 (Ask us how we know.) It’s super easy to use: we prefer the bungee system over zippers for the long haul. We’ve had issues with zippers in the past, they are very expensive to replace (we priced out a replacement once; it was close to the cost of a new awning). Item of note: two of the bungees were broken off the case when we received it. The plastic that held them on cracked apart during shipping. ARB was quick to send us replacement parts so we headed to Harbor Freight, bought ourselves a cheap rivet gun, and punched our way back to usability. It was a riveting experience. Although on the pricier end of the ARB awning line-up (coming in at $470 USD), this aluminum hard-cased ARB 2500MM awning is certainly worth a look. It’s contemporary and durable, it’s easy to use and well made, and has a company that stands behind it. Now, I say that’s cool. The ARB awning is held on via Bomber Product’s Awn-Locks and our Yakima round bar rack system. The ARB plastic endcap has taken a beating and is barely affected. Super useful review, thank you! Very valuable to have comparison vs. cloth version. As soon as you mentioned zippers on outdoor stuff going bad… yeah. I can think of MANY times zippers get crapped up. That right there is worth the additional $$ for the aluminum vs. cloth.